Whether or not to resign from my job as a Speech and Language Therapist is one of the hardest decisions I've had to make to date. Last week I bit the bullet, met with my manager and did it. 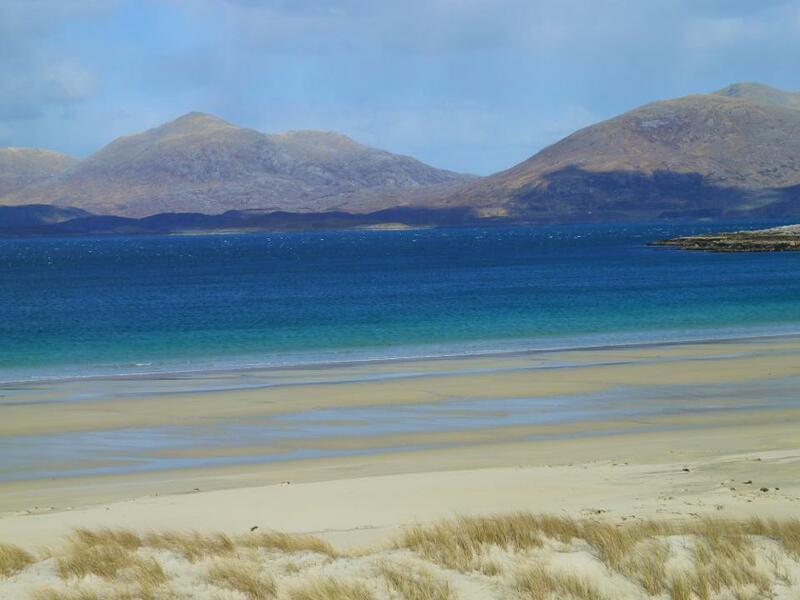 A bit of background: I trained for four years to be become a Speech and Language Therapist and was very excited to start my first paediatric post in the Western Isles in September 2012. I absolutely loved the job from the off and found it incredibly rewarding. Unfortunately though I had to stop working after a year due to health difficulties. 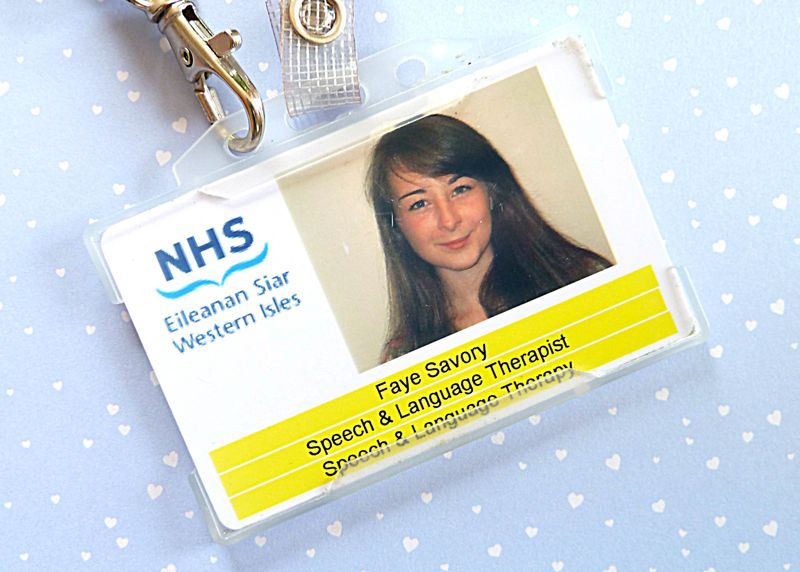 Speech and Language Therapy is mentally, emotionally and, at times, physically demanding. Acting as a health professional comes with a great deal of responsibility and accountability. My job involved a lot of thinking (clinical reasoning, generating ideas for therapy activities), moving around (driving to schools/ meetings) and intense social interaction (talking to children, parents, health professionals, school staff, voluntary organisations etc). All of which became increasingly difficult as I became more ill.
My work colleagues and manager have been fantastically understanding and at no point have made me feel that I should attempt returning before I'm ready. Despite this however, getting back to work has constantly been in the back of my mind. I've struggled with not feeling 'useful' and have been very conscious of how my absence may have increased the workload of others'. Given that any kind of strain exacerbates ME / CFS, I don't think the (admittedly self-imposed) pressure of returning to work has been aiding my recovery. After a great deal of consideration (and a long while of denial), I've decided that my priority for now has to be my health. This means that my career will have to take a backseat for a little while. Once I'm fighting fit again, I can throw myself into a challenging job but its just not the most important thing right now. Although I'm incredibly sad to be leaving the very lovely Speech and Language Therapy Department, I'm extremely grateful for the things it has given me. I've gained brilliant hands-on experience in a field I love. I've learned (the basics of) a new language. I've experienced a very different culture in a beautiful part of the world. I've had the privilege of meeting and working with some amazing kids and their families. And most importantly of all, I've made some incredible, and I hope lifelong, friends. Now that I've had a bit of time to think and it's sunk in that I won't be going back to work, I feel relieved and, in a way, liberated. There's nothing to say I won't get back to Speech and Language Therapy one day but who knows what exciting opportunity may be more manageable in the meantime? I'm ready for a new adventure. This reminds me so much of what I went through when I had to give up school. All I've ever wanted was to leave home & do my degree at Oxford. It was right there All I had to do was finish my A-Levels & I pushed & pushed myself when I really wasn't healthy enough & all it did was make me ill-er. I'm sorry you had to quit being a speech therapist, I bet you were really good. I'm so sorry to hear your ME got in the way of doing a degree. It really is a cruel illness. Never say never though! 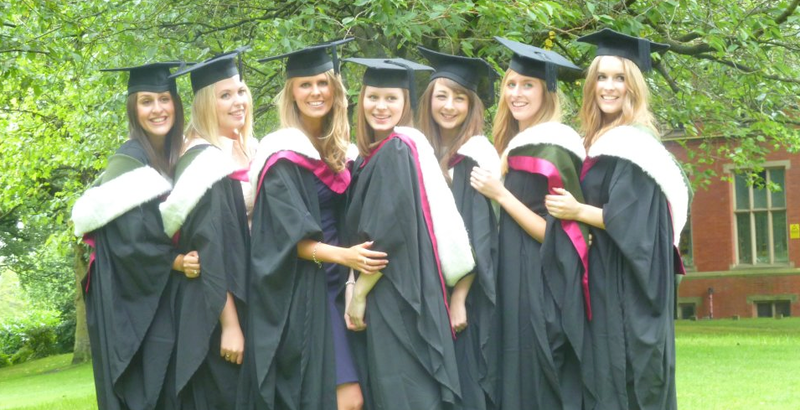 I really hope that one day, if you still want to, you get to do that degree at Oxford. Thanks for stopping by and for your kind comment. "...but who knows what exciting opportunity may be more manageable in the meantime?" - Fabulous attitude regarding a tough situation. After a few weeks of rest, I'm sure your next adventure will be right around the corner. aw I'm sorry that you had to resign from your job especially after working so hard to get there. However, I'm sure some exciting opportunities will come up soon and I wish you the best! I think as long as you have a positive attitude, like you do, everything will be fine! Your words struck a chord with me and I'm sure they will ring true for many other fellow sufferers who have also had to give up something they love because of this illness. I've recently had to stop working as a teacher and translator - even though I was freelance and supposedly in charge of my work schedule, it's become far too demanding and brought me to a place of relapse. As well all know, the path of illness is hard one for us to tread. But I've always tried to remember that everybody's life and paths change, whether they are chronically ill or not. Sometimes our paths change slowly, sometimes rapidly. Sometimes for better, sometimes for worse. We have low times, and it is good to acknowledge them, as you have done here. Partly because it helps us cope personally and partly because it helps other people, like you have helped me through your words. But it is also wonderful when we can find some hope amidst our difficulties, a rainbow despite the clouds - just as you have done here. We cannot know what life will bring next, like you say what new adventure may be next. Thank so much for taking the time to write such a thoughtful response Fran. I'm sorry to hear that you've had to stop teaching and translating - both are very demanding and I imagine must have been very tricky to manage whilst being ill. If taking a step back allows your body the time it needs to bring you back out of that relapse, it definitely sounds like a positive decision. It can't have been easy to give up on something that you worked bloomin' hard for, and loved. However, you made the right decision, health comes first and your degree will always be there. Once you are at a point where you feel stronger and ready to start getting back into work again you can get back into it, but for now having just yourself and your health to concentrate on will be much less stress physically, and mentally too. You'll have more time to blog too, and we love your blog! So sorry about this, it must've been so hard to give up a job that you loved and I really feel for you. Hope that your blog means you have something else to put your time and effort into - I had to leave my job too and most upsettingly my university degree, my days started feeling listless and pointless but now I feel like I'm doing something productive and worthwhile again. Sending lots of love your way and thinking of you! But solving sample papers and learning to solve mathematical equations are not enough to get a Govt jobs in odisha sector. I think it is related to health systeme delivrance which should be solved. I think I will check these suggestion for real good health from Systeme Delivrance and similar ways. Have you tested yet? is Systeme Delivrance good?